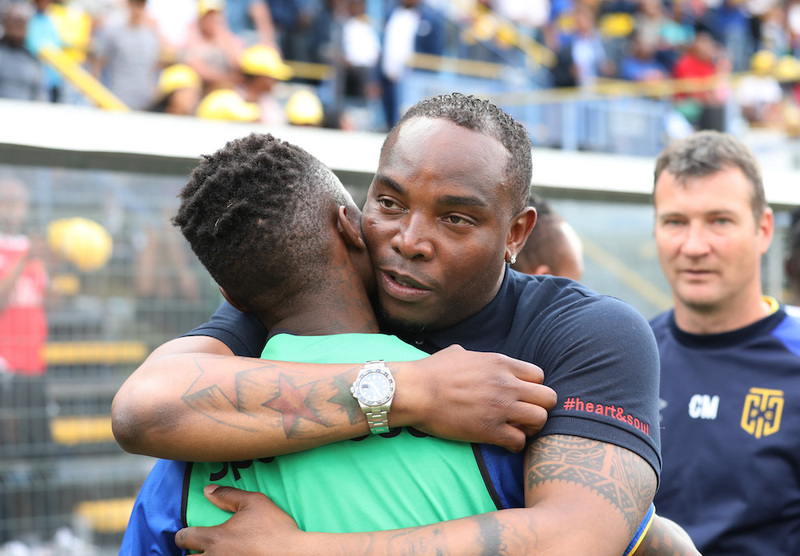 Benni: "I Can’t Afford To Lose Teko Modise"
Cape Town City gaffer Benni McCarthy has sensationally revealed that his team needs the service of the aging midfield magician Teko Modise more than any other player in his team. After Thabo Nodada and Roland Putsche suffered injuries that ruled them both out for the remainder of the season, Benni said he can’t afford to lose the former Orlando Pirates footie and if it happens so he will have to go to Jerusalem and pray over it to save the team. Speaking to Sowetan Live, Benni said he has to properly manage Teko’s 36 year old legs for the remainder of the season as they look an appropriate replacement. "Teko‚ you have to manage him because at the moment he is one of the best players we have and if we lose him‚ on top of Nodada and Putsche‚ then I need to go there to Jerusalem to pray for serious help! I don't see how we would survive without Teko for where we want to be as a team." The Citizens as Cape Town City are affectionately known have snapped the services of 25 year old Travis Graham, whom Benni described as a good midfielder who can emulate and be Modise’s replacement in the future. Graham last played competitive football in May 2017 before Ajax Cape Town made him seat out after a dispute. Graham is set for challenging encounters as they play Mamelodi Sundowns both home and away in the league‚ and also visit log leaders BidVest Wits on Saturday, all the encounters are within 10 days. Meanwhile Benni is under fire after his violent conduct on the touchline and tunnel close to the end of their 3-2 win over Maritzburg United. The defeat sunk United, who are last on the log standings deep into relegation zone. Read More: Teko Modise Is Set To Release His Autobiography.